My camera bag dropped on the floor. It took me a while to understand what was going on. When a restaurant where you have some special memories has a makeover, it tends to surprise you and make it difficult to reconnect with the same place. For the first time, I wished this make over happened when special memories were being etched. From being a nice rustic restaurant at the secluded end of the beautiful Fisherman's Cove, this has evolved, no, turned overnight, into a chic, pretty bistro by the sea. With rocks right in front of you and the sound of music (the natural splashes of the waves, I mean) and the beautiful decor staring at you, this is some transformation. When Taj called us over to try out the new menu at the revamped Upper Deck, this is not what I was expecting. No food photographer can do real justice to the ambiance, I guess. So I just took one shot and moved on to the food! 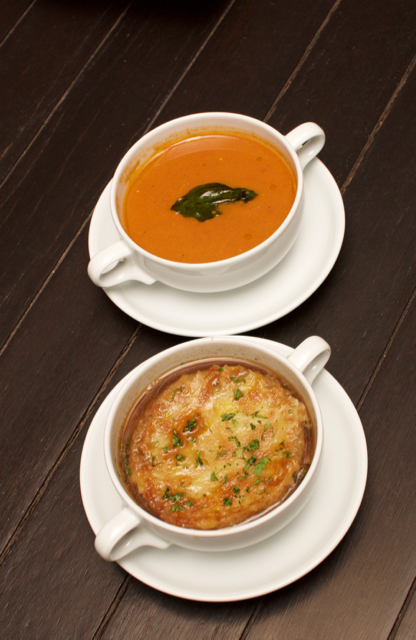 We started off with a nice French Onion soup, but without the cheesy mess. This was a fine dine version of the cheesy soup, but one that was right on flavour, but it stood no chance against the other soup, the Roasted Tomato and Basil soup! This was excellent with the flavours of the roasted tomato searing through the palate and the basil just caressing the tongue on its way down. 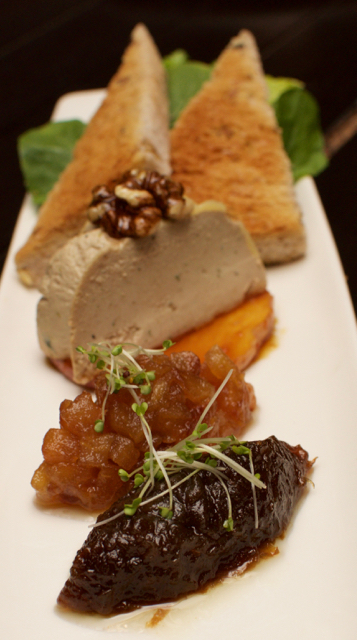 Then four wonderful dishes to start off, the beet salad and the chicken liver pate. Both were excellent in presentation and flavours, the beet salad being super moist for a salad with the perfect home made vinaigrette dressing, while the chicken liver pate, for someone who is not an offal fan, made me take two helpings. The third being the seared Tuna salad, which with the rocket leaves and done medium rare, left us wanting more, but we had to save space for the rest of the courses. The, fourth, a leek pie was simply excellent. The pastry used for the pie was a killer and I'd die to get the recipe for that!! The filling was just right and the dish as a whole was loved by everyone on the table. Then came the disappointment. The Risotto wasn't up to scratch for me. The rice didn't have that bite, though the flavours were just right. The previous courses set the standards so high, that the risotto didn't live up to it.The next was a chicken stuffed with four cheeses. While the chicken was a little dry for me, the dish itself was pretty good and the flavours were brilliant. A slightly moist chicken would have nailed it. 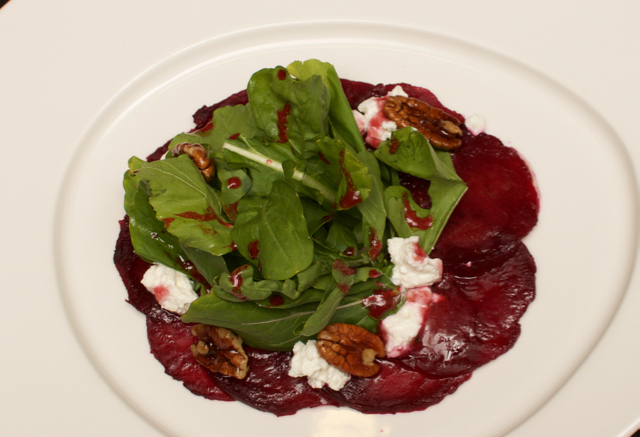 Then came a dish that set the standards higher. 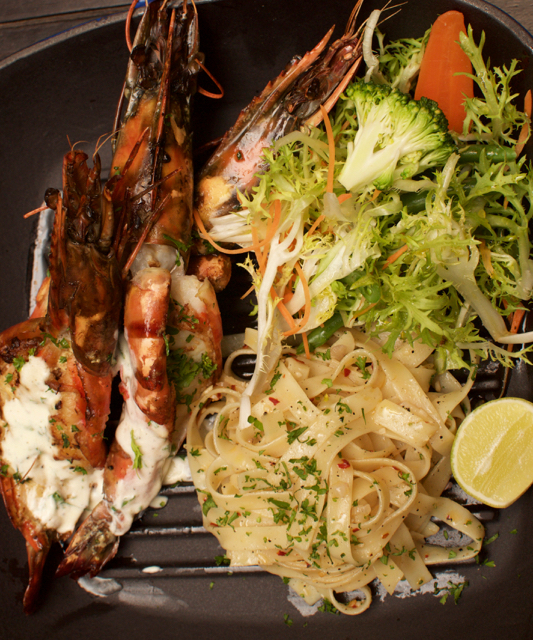 Grilled jumbo prawns (I'm salivating as I write this), with cheese, salad and tagliatelle. The prawns were grilled to perfection, were juicy and yummy and the pasta was just right for this. 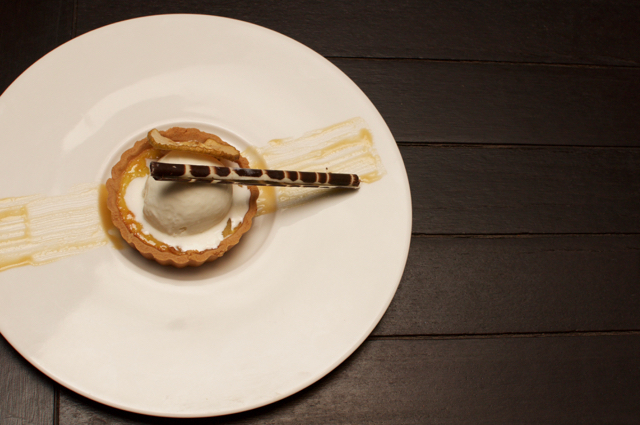 The desserts simply did not live up the standards of the other dishes! 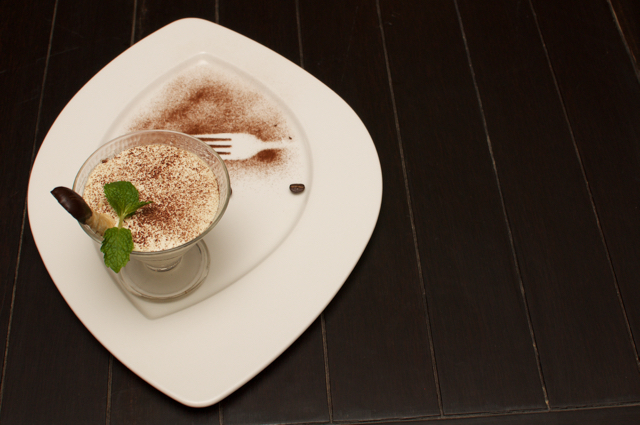 The tiramisu and the chocolate mousse and pie were just about alright, so nothing special here. The prices have dropped significantly from the older menu and meal for two will cost about Rs. 2800 without alcohol. 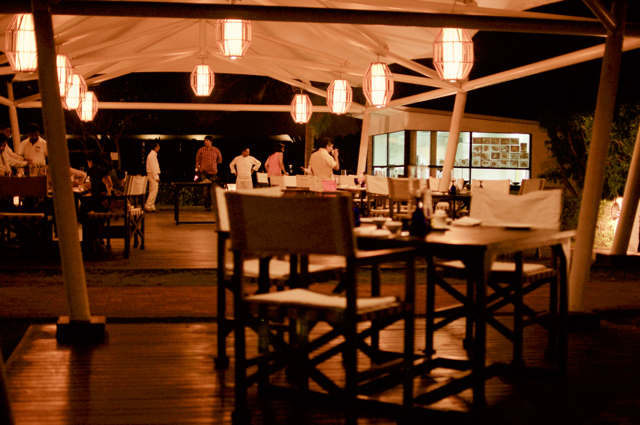 They also have a sundowner menu from 4-7 pm, which I didn't get a hang of. More importantly, the revamp is so good that I'd like to recreate memories here again and we have already planned it!!! But if you are yet to pop the question or the ring, this might just be the place to do it!